Our Bunded Oil tanks are Manufactured from premium quality materials and engineered to exceed the most demanding British and European requirements. 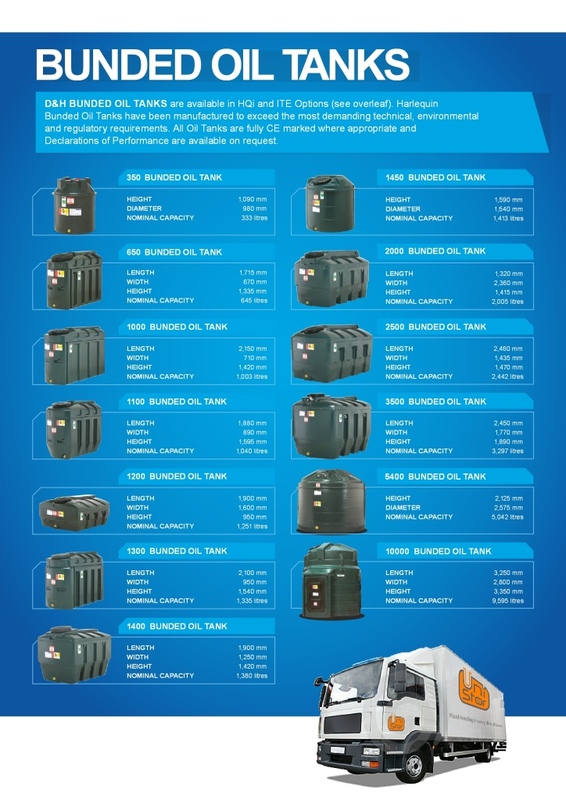 Our range of bunded oil tanks are the prefered choice of thousands of homeowners, householders and oil storage technicians throughout the UK. When stored and handled correctly, heating oil is an environmentally responsible fuel choice. Heating Oil is less poluting than coal, and is more affordable than LPG. Modern condensing oil boilers are also frequently more efficient than their natural gas counterparts. 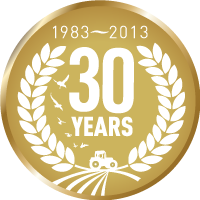 At the heart of any oil heating installation is a tank, providing safe, secure store of oil on your premises. 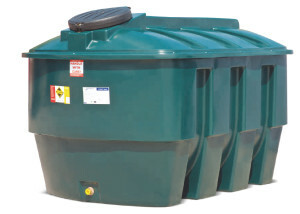 As an environmentally responsible oil tank distributor, we only recommend Bunded Oil tanks. A bunded tank consisits of a Tank within a tank. The inner tanks acts as a primary storrage vessell, whilst the outer tank acts as a fail safe. In the event of a spillage, surplus fuel will be safely and securely cointained within the outer tank, and a pollutant incident will be averted. Bunded tanks are mandatory at almost all new replacement oil storage installations at Agricultural, commercial and inductrial premises, and at most domestic oil storage installations too. We only recommend the installation of Bunded oil Tanks. 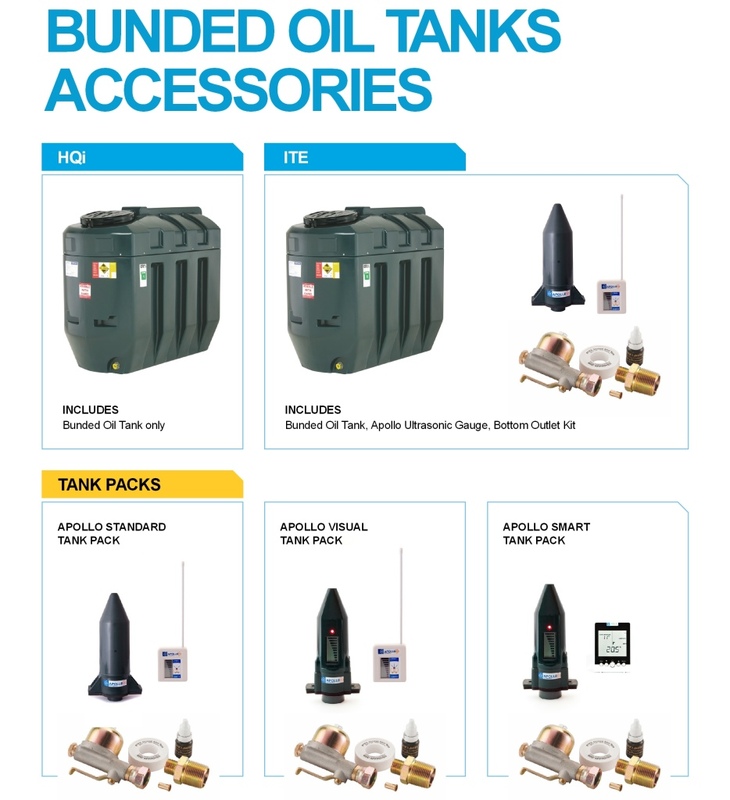 We offer 3 different tank packs for our bunded oil tanks. These Tank installation kits are all designed for domestic use. For Tank accessories for commercial and industrial installation, please contact us with your specific requirements. Apollo Tank Pack includes in-line Filter, isolation valve, Liquid Sealant, PTFE Tape & 1″ to 10mm reducer and Ultrasonic remote Level Gauge and Level gauge on Transmitter. Apollo Smart Tank Pack includes in-line Filter, isolation valve, Liquid Sealant, PTFE Tape & 1″ to 10mm reducer and Multi function Ultrasonic remote Level Gauge and Level gauge on Transmitter. Price: £759.00+VAT inc. Carriage to UK Mainland. Price: £939.00+VAT inc. Carriage to UK Mainland. Price: £998.00+VAT inc. Carriage to UK Mainland. 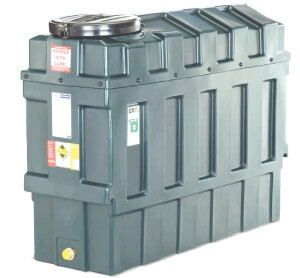 We specialise in many other sized Plastic Bunded Oil tanks upto 10000 Litre. 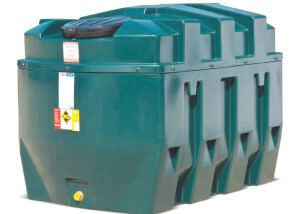 We can also offer our range of Unistor Bunded Steel oil Storage tanks upto 20’000 Litres. For more information our Unistor Plastic Bunded tanks, please contact us Today. 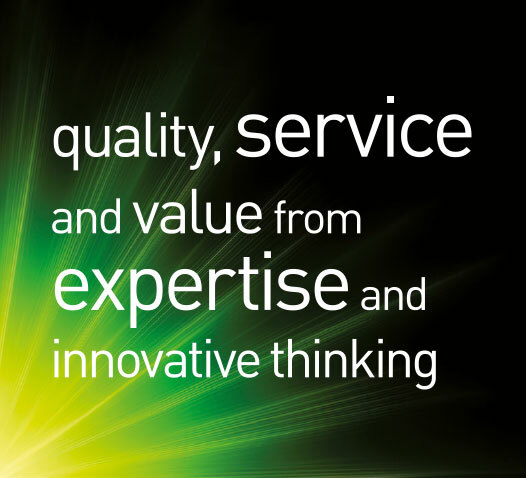 We offer a Nationwide delivery service.